JPMorgan Chase's plans to pull down their 52-story headquarters at 270 Park Avenue and erect a new 70-plus-floor skyscraper at the same posh, Manhattan address have brought many questions to the fore. The February announcement begs the question if this is being done thanks to the extra finances coming to the bank with the US tax cut passed in late 2017, or due to the incredible amount of cash the bank already has in its coffers. Ostensibly, the self-financed project is based on need because the company’s employees must have a new building. The original, built in 1961 for Union Carbide's 3,500 headquarters staffers, but the bank currently has 6,000 workers there. The new edifice will house up to 15,000 employees. But that might not be the whole motivation. Some think this is CEO Jamie Dimon’s way of creating a personal memorial. Dimon's stated narrative is that the project it s part of a commitment to New York City that includes creating new construction-related jobs. Estimates suggest the new JPMorgan Chase headquarters will generate 8,000 openings in the building trades. The project is expected to start in 2019 and run five years, that is, around the time Dimon retires. He recently designated executives Gordon Smith and Daniel Pinto to become bank co-presidents. The building, the first of its kind under the city's East Midtown rezoning plans, requires the bank to buy air rights in exchange for improved street traffic and transportation in the area. The rezoning of those 78 blocks is intended to replace many older structures with taller and more up-to-date and office towers. 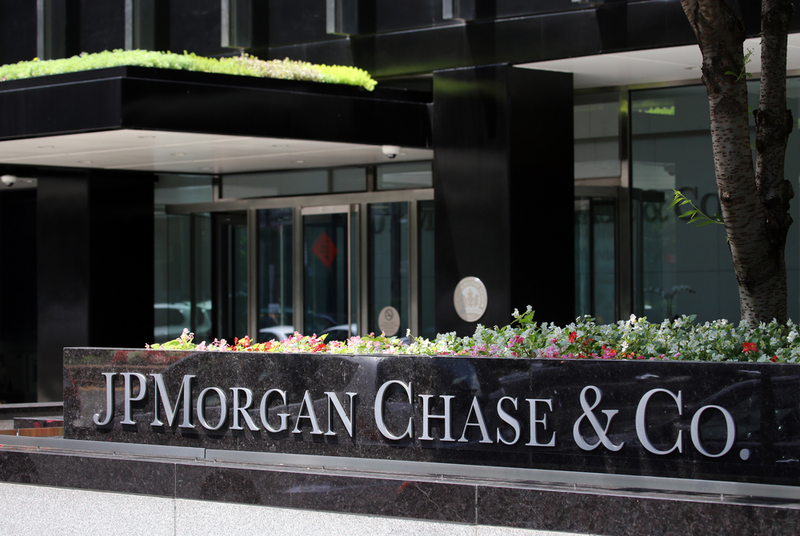 It is unlikely to be the end of JPMorgan Chase's physical expansion. America's largest bank is said to be opening 400 new branches and hiring 3,000 new workers as well. The fourth-tallest skyscraper in New York, Bank of America Tower, was finished in 2009, a short jaunt along 42nd Street from JPMorgan Chase's property. As executives on the top floors of those buildings glare at each other above Midtown's rooftops, Citigroup is completing construction on its new Tribeca headquarters. Even so, the recently announced project might more accurately be viewed as a company-specific event than the start of a new construction boom in the financial sector. Still, some banks around the world have a lot of cash on their hands. The question is, how to spend it.